One of the wonderful things about Nua is seeing what other designers make with it. What captures their imagination? Do they use colourwork, cables or textured stitches? Below are three wonderful hat patterns by other independent designers that have caught my eye and bring a smile to my face. They are the perfect project for trying out those newly released colours or to try out a new technique. Joyce was one of the two patterns for Woolly’s 10th annual mystery Hat-a-long. Here the shades Kitten Fluff & Frog on the Wall are used to showcase those beautiful raised circle motif on a background of garter stitch. The pattern is worked from the bottom up, with the colourwork pattern created by using slipped stitches on garter stitch and is available in 4 sizes. If you’re wondering what colours to chose why not browse some of the 188 projects so far on Ravelry for inspiration. 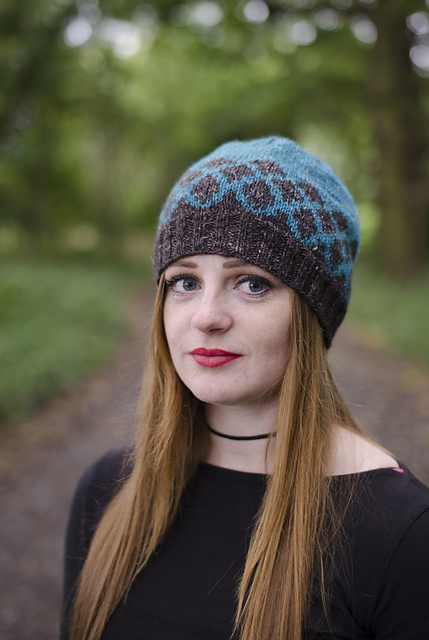 Keep is knitted in the round from the bottom up with both charted and written instructions with simple increases and decreases which makes this a wonderful choice for your first colourwork hat project. Bare Necessity by Jennifer Shiels Toland. This hat comes with a story. After her dog chewed through her beloved knitwear Jennifer designed and knitted this fisherman’s rib hat with her son in mind. She chose one skein each of Bare Necessities and Unexpected Macaw and knitted both hats from these two skeins alternating the brim and main colour choices for the child and adult hats. 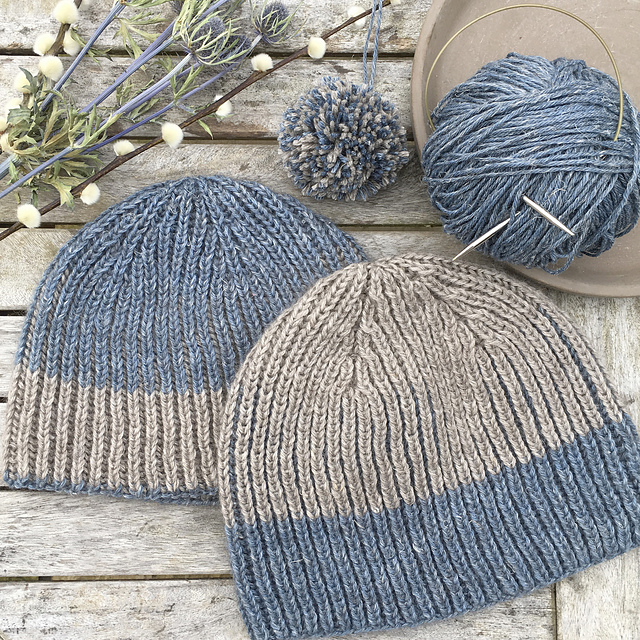 These hats are worked from the bottom up in the fisherman’s rib pattern with simple shaping and a few cleverly hidden decreases to create a reversible hat. This is a perfect choice if you want a relaxing knitting project weekend knitting project. Are you designing with Nua yarn or would you like to be part of the Indie Designer support programme? If you would like to find out more about the programme you can sign up to the mailing list here. Don’t forget to tag your projects and designs with #stolenstitches on social media so we can follow along and see what you are creating.